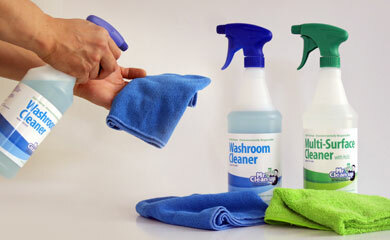 Clean & Green – Mr. Clean-up Inc.
Mr. Clean-up is passionate about the environment and healthy workplace standards. This is why we use exclusively environmentally-friendly cleaning products and processes with minimal ecological impacts. Good examples of this are the exclusive Earth Sense® cleaners (with H2O2 from National Chemical Laboratories, Inc.), and our state-of-the-art High Speed-Propane floor polisher, that creates a mirror-like shine without the use of waxes.